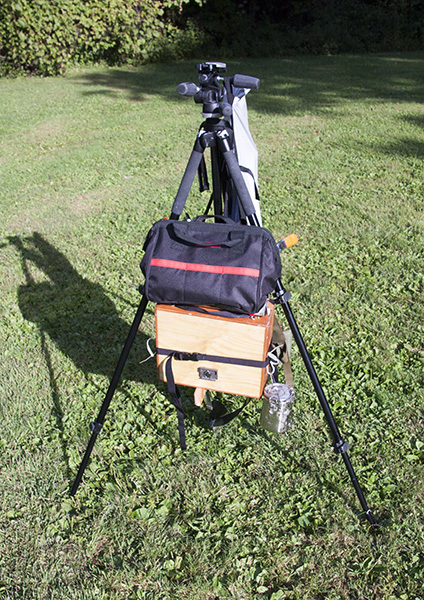 Here's the frame on my back, fitted with a wooden support on the bottom for the pochade box, held on with a quick-release strap, a toolbag for extra odds and ends, and my BestBrella strapped to the side. 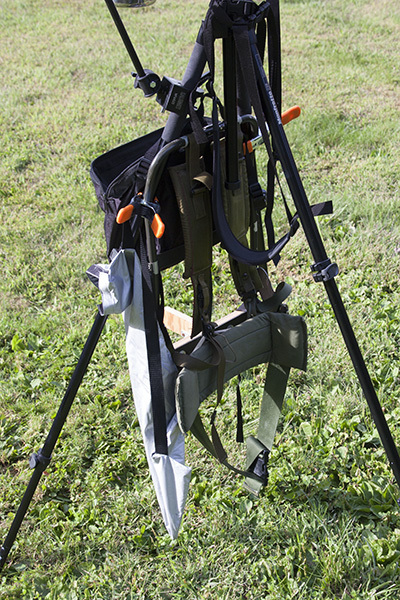 The tripod is carried on a shoulder strap like a rifle, befitting the martial theme. 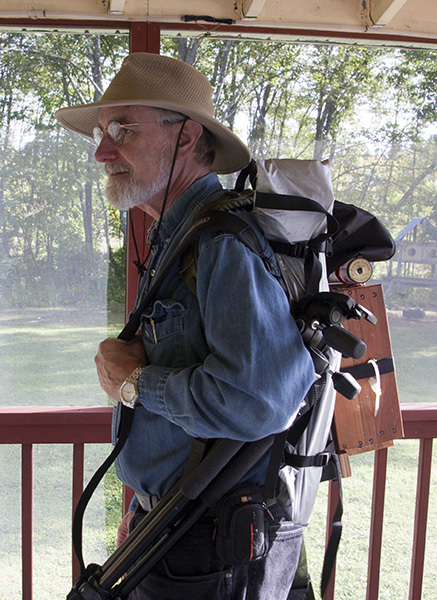 I had taken an earlier version out for shakedown trip up to Mt Pollux, where, after realizing I had made my stand in a patch of poison ivy, I determined that a basic requirement would be that the whole thing could be set up, taken down, and packed up again without any part ever having to touch the ground, except for the tripod feet. 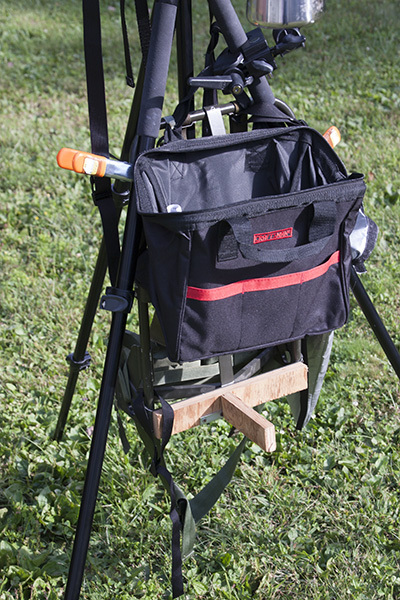 After some experimentation I figured out that the pack can be hung from the tripod with clamps, making it easier to remove and replace the pochade box, and positioning the toolbag conveniently. 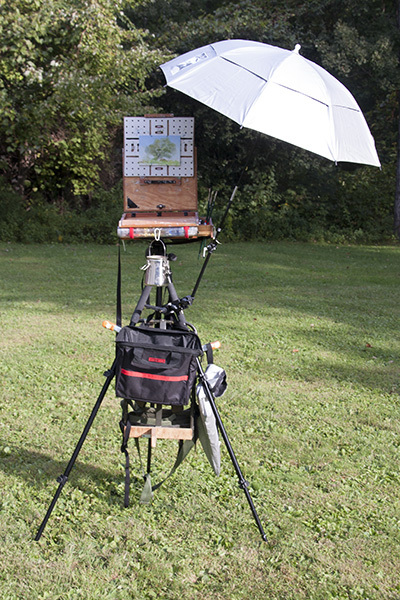 The weight also helps to stabilize the tripod.